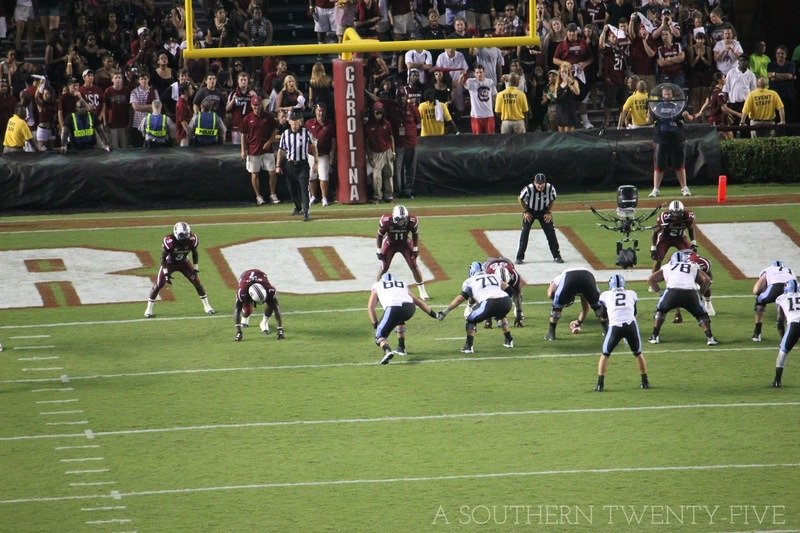 All I wanted to do at the game last night as get a good picture of Clowney making a sack. I would have settled for a tackle. 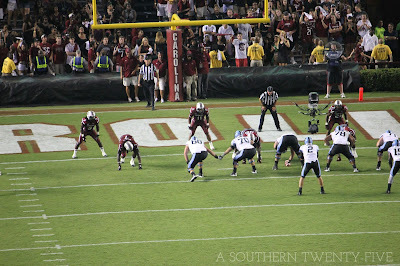 But instead I got two UNC linemen holding hands waiting for Clowney's attack that never really came. But, it's officially college football season so the first post had to be about college football. Ok, y'all, sorry, this is way too painful to just have a USC football picture up on my blog. I can't do it. College Game Day is visiting campus this weekend for the first time since 2006 and this picture is from that morning almost 7 years ago. 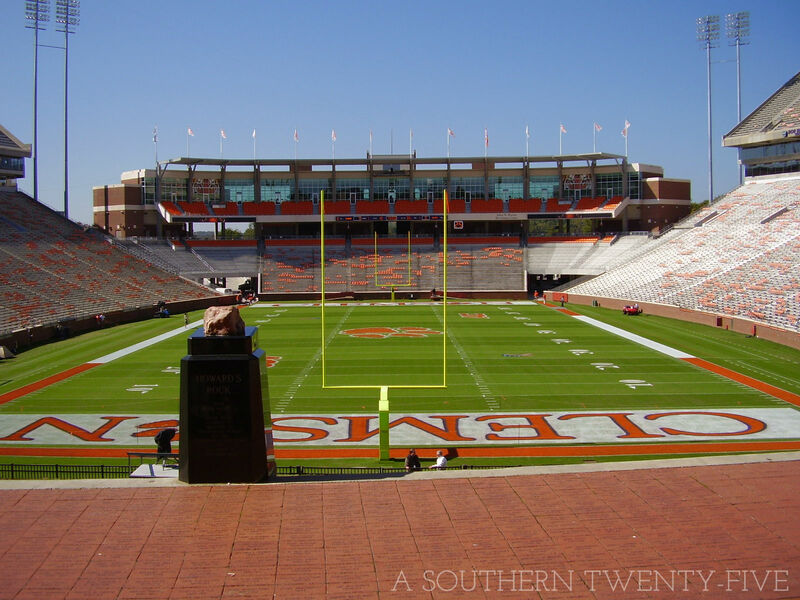 It was a gorgeous October Saturday and one of my favorite Clemson games of all time. 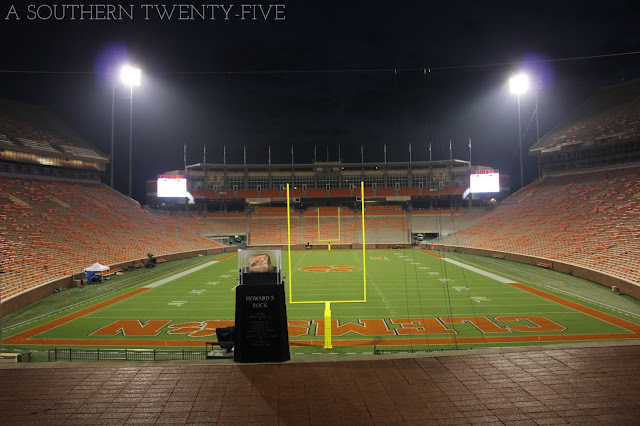 Annnnnd got to Clemson tonight and went to take a picture of the stadium. Check out the new block lettering in the endzone - looks so good!